Let me just say…life is good! 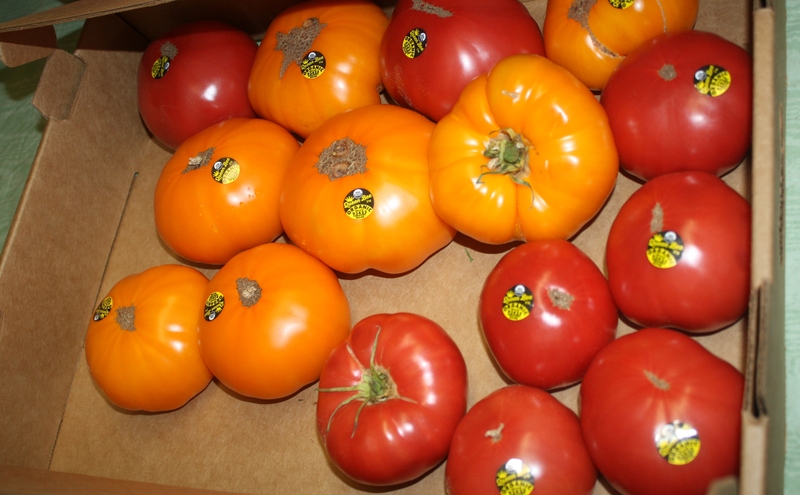 Here are a couple of pics from our last order…GORGEOUS heirloom, organic tomatoes! So blessed to have access to them this early in the season. Today’s order…although many of you didn’t order with the holiday weekend and vacations we still had a good sized order for the size of the group we had. Happy 4th of July everyone! Thank you for being committed to Maine and all of the great products we have here!